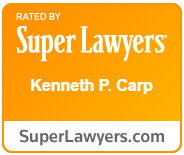 St. Louis attorney Kenneth Carp is dedicated to providing individuals and businesses obtain quality and solution-oriented legal counsel in a cost-effective manner. The information and links provided below are intended to help people with various legal issues develop a better idea of how their issues may be resolved and how their attorney will be able to help. While in many cases a people are legally able to represent themselves, the assistance of an experienced attorney almost always makes things much easier and generally results in a more favorable outcome, regardless of the matter at hand. As a result, none of the information below should be taken as legal advice, and anyone with a legal issue should be certain to discuss their case with an attorney licensed in their jurisdiction. St. Louis Municipal Court – The official site for the St. Louis City municipal court system. St. Louis City Circuit Court – Website for the Missouri trial court that sits in St. Louis City. St. Louis County Courts – This link includes information about the Missouri state trial court that is located in St. Louis County. Missouri Court of Appeals – Official website of the Missouri Court of Appeals. Missouri Supreme Court – Explains the function and jurisdiction of the Missouri Supreme Court. United States Bankruptcy Court for the Eastern District of Missouri – Discusses the location of the United States Bankruptcy Court for the Eastern District of Missouri and the procedures for filing bankruptcy. St. Louis County Family Court – Explains the jurisdiction and function of the Missouri state court that handles issues related to family law. Missouri Revised Statues – A Complete listing of the Missouri revised statutes, organized by subject matter. S. Courts’ informational site on bankruptcy – A website maintained by the federal court system with helpful information regarding bankruptcy. The Missouri Bar website – The official website of the Missouri bar, which is the agency that is responsible for the regulation of the legal profession in Missouri. The Constitution of the United States – The official text of the United States Constitution, published by the National Archives. Website of the Missouri General Assembly – A website with information regarding the Missouri legislature, including links regarding bill tracking and the Missouri Constitution. The American Bar Association – The official website of the American Bar Association, a national professional organization made up of lawyers and law students. Ronald D. Weiss, Long Island bankruptcy attorney – A Long Island-based bankruptcy attorney who practices in bankruptcy, foreclosure, and loan modification. At the Law Offices of Kenneth Carp, we strive to provide the highest quality legal counsel and representation available under the law. Call our office today at (314) 690-3461.